Heaven is for Real for Kids hit #1 on The New York Times bestseller list and has currently sold over 500,000 copies to young readers. 8-year-old Sarah Alsum from Loveland, Colorado is one of the many kids who have questions about heaven and God. “I used to question if Jesus was the real God, but now I know,” says Sarah. Sarah became convinced after recently experiencing the interactive lessons and games included in the Heaven is for Real for Kids: 13 Sunday school lessons, taken from 12-year-old Colton Burpo’s trip to heaven and back. Colton’s story, first recorded in The New York Times bestseller Heaven is for Real, has touched over seven million readers. Published in popular kids’ form in November 2011, Heaven is for Real for Kids hit #1 on The New York Times bestseller list and has currently sold over 500,000 copies to young readers. Now Tommy Nelson and Todd Burpo, Colton’s father, have partnered with Group Publishing to create two hands-on resources for kids to help them understand what heaven is really like: Heaven is for Real for Kids: 13 Sunday School Lessons for ages 4-8 and Heaven is for Real for Kids: 4 DVD-based Sunday School Lessons for ages 9-12. 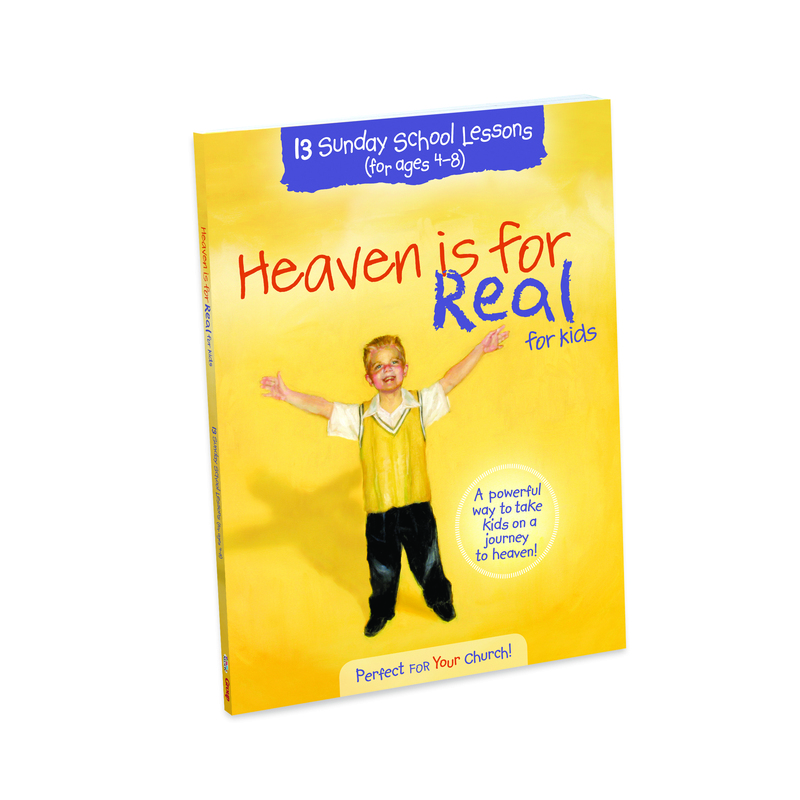 Heaven is for Real for Kids: 13 Sunday School Lessons for kids ages 4-8 is centered on pivotal moments in the book. With activities, games, and interactive prayers, kids are given the opportunity to explore the wonders of eternity with God and grow closer to God along the way. 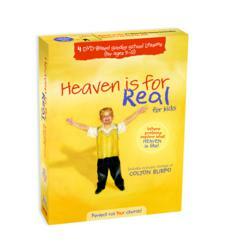 In the four DVD-based lessons for ages 9-12, the Burpo family talks about Colton’s experiences of heaven and answers preteens’ questions of: What is in heaven? Who is in heaven? Who is the God of heaven? And how do I get to heaven? Some kids may be surprised to learn that if they go to heaven as a child, they still have to go to school and still get homework. “This will be the only time you hear me say this,” says Colton. “One of my favorite parts of heaven was that I got homework from Jesus. Who wouldn’t want homework from Jesus?” Colton also discusses all the people he met, the things he saw, what angels look like and what they do, God’s infinite love and how big He is, and how adults have jobs in heaven. Colton was nearly 4 years old when he experienced a burst appendix; it was during his emergency surgery that he visited heaven. Colton says Jesus sent him back to earth because it was his dad Todd’s prayer that Colton would get to live his life. Todd Burpo is pastor of Crossroads Wesleyan, a volunteer fireman, and works with a garage door company. His wife, Sonja, is a children's minister, busy pastor's wife, and mom. Colton has an older sister, Cassie, and a younger brother, Colby.